My research reveals that the sweetness of Martini Rosso complements Haribo and similar jelly sweets. 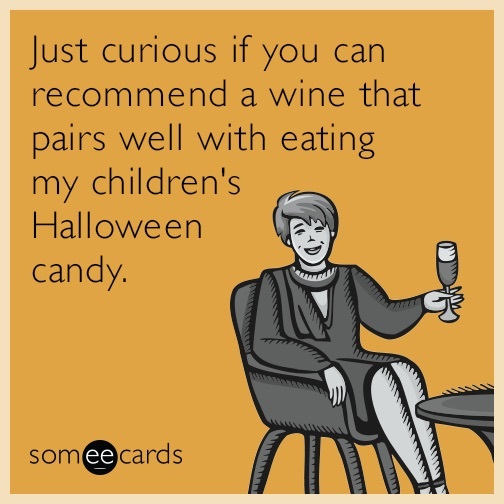 The answer to all other halloween loot is Chardonnay. That is, all other sweets with the exception of liquorice, because it is truly the devil’s work, and belongs in the bin along with marmite and bovril.